Riboflavin is a water-soluble vitamin which has been called the “old yellow enzyme” because of the pigment of the “flavin”. It is this pigment that turns urine bright yellow. Interestingly, because of this effect, riboflavin is often used as a “marker” to determine how well a substance is absorbed in the body. 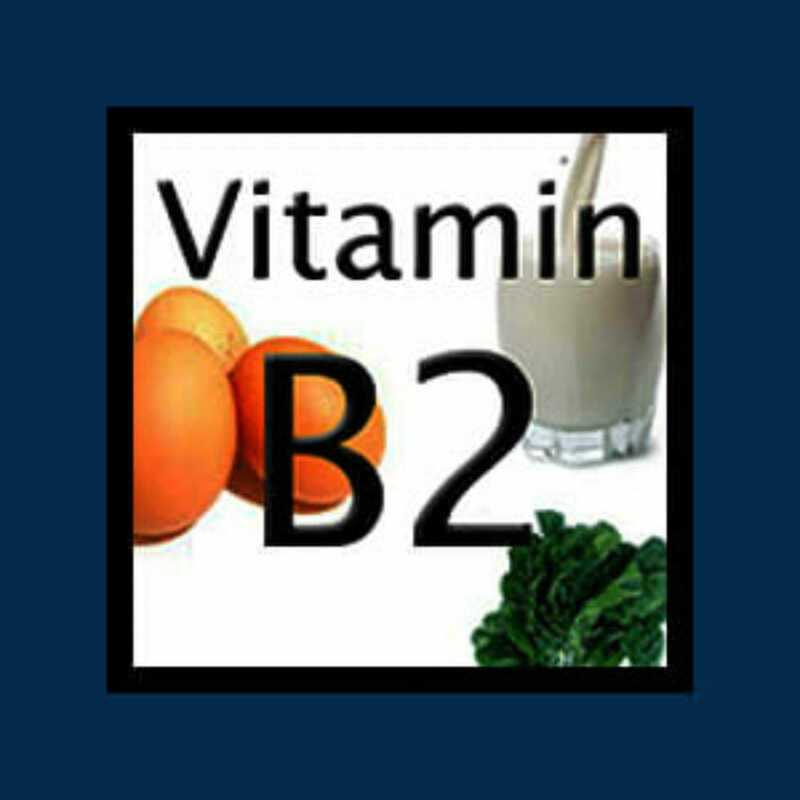 Why do you need Vitamin B2 (Riboflavin)? Two enzymes make up riboflavin: Flavin adenine dinucleotide (FAD) and Flavin mononucleotide (FMN). These enzymes are necessary for the activation of Vitamin B6 (Pyridoxine) and the conversion of Vitamin B9 (Folic acid) to co-enzymes. Riboflavin works with other B vitamins to break down carbohydrates and fat into energy: Vitamin B1 (Thiamin), Vitamin B3 (Niacin), and Vitamin B5 (Pantothenic acid). Because many of the B vitamins work together, it is best to take a “B complex” supplement. Vital for optimal growth of infants and proper nitrogen balance in adults. Required for the metabolism of tryptophan, an essential amino acid. Tryptophan is converted to either niacin or serotonin in the body. In order for this conversion to occur, the body requires riboflavin. Needed by some tissues to utilize oxygen. For example, in the case of eye tissues the absence of riboflavin results in the formation of tiny little vessels. This is the body’s effort to bring oxygenated blood closer to the cornea. When this happens, the eyes appear as bloodshot. Aids in the body’s ability to break down toxins so they can be removed from the body. A lack of Vitamin B2 reduces the amount of folic acid available to the liver, which is an indirect cause of a folic acid deficiency. Vital in the production of hormones by the adrenal glands. And it doesn’t stop here for this busy Vitamin! Research shows that riboflavin plays a vital role in the prevention and treatment of many health conditions including Parkinson’s, migraines, and conjunctivitis to name a few. A standard dosage of riboflavin ranges from 50 mg – 400 mg. Therapeutic dosages range from 400 mg – 1000 mg, most typically 400 mg – 800 mg.
Riboflavin may intensify urine color to a bright yellow. This is known as flavinuria and is a harmless side effect. Riboflavin is a water-soluble vitamin and unlikely to reach toxic levels as your body simply eliminates what it can not use.